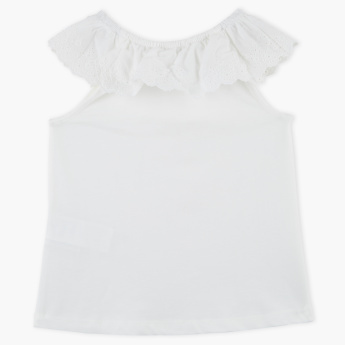 Pick this stylish boat neck top for your little darling and upgrade her summer wear collection. The lovely ruffle detail on the yoke makes this top an elegant choice. 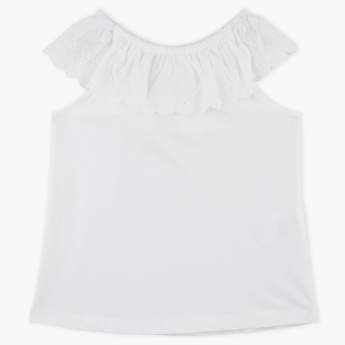 Made from a soft fabric this top will keep your little darling comfortable the entire day.